Does your company have difficulty understanding the right approach to social media? Have you started social media projects only to discover they didn’t produce your expected outcomes? Have you started a social media marketing campaign only to have it run out of gas or never take hold in the first place? 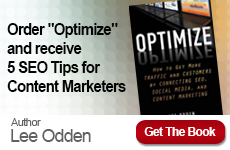 TopRank Online Marketing CEO Lee Odden was interviewed by WebProNews‘ Abby Johnson about social media and ways companies can get around some of the common misperceptions and obstacles. When companies hear about businesses success stories using social media such as Facebook, Twitter, YouTube and others, many often “jump in” without considering the rules of engagement. The only way companies can really really create long term value and benefit from the social web is through participation. Marketers need to take the time to understand which social channels their customers are spending time on, what they’re doing there discover what their information needs are. The next step is to fulfill those needs in a way that delivers value both for the participants and for the brand. Effective social media participation builds on the brand promise and also invites the participants to take next steps towards a more commercial conversation when it’s relevant. This interview discusses all of those topics and more. 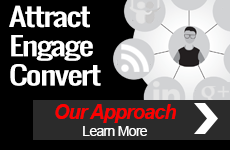 Get more information on TopRank Social Media Marketing services here or read over 50 blog posts on the topic here.